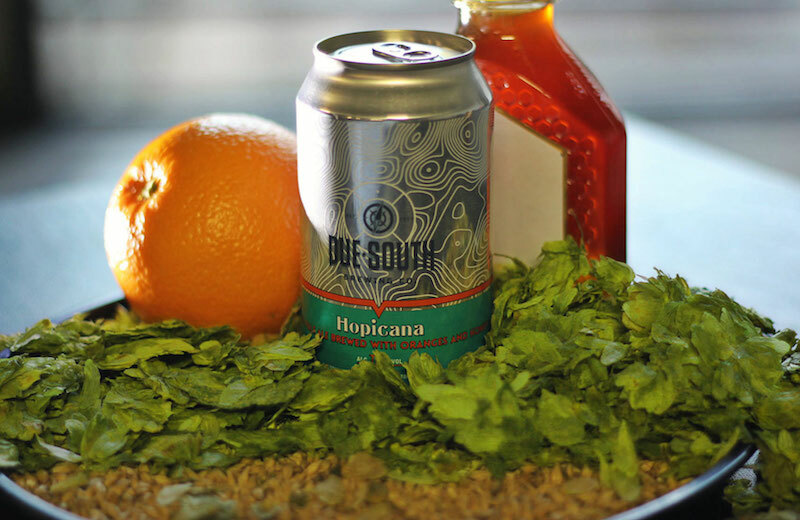 (Boynton Beach, FL) – Hopicana, the Spring seasonal release from Due South Brewing Company, is returning to cans and draft lines starting February 1st. The Boynton Beach brewery is excited to bring this rye India pale ale brewed with local honey and fresh oranges back to production. The beer is brewed for the Spring season every year, and features aromas of a freshly peeled orange; full of bright orange sweetness and pithy bitter orange character. Hopicana holds a gorgeous copper-yellow color, clear with a tight thin head, which makes it a beer that pleasing on the eyes as well as the palate. The addition of rye malts to this beer provide a complimentary peppery note that works well with the sweet citrus of the oranges and the North American hops. Oranges are hand-zested and then juiced before being added to the beer, while the honey used is sourced from an apiary in Loxahatchee giving Hopicana all the flavor of Florida. Fans of this seasonal brew will be able to find it February 1 in on draft and in six-packs across South Florida.